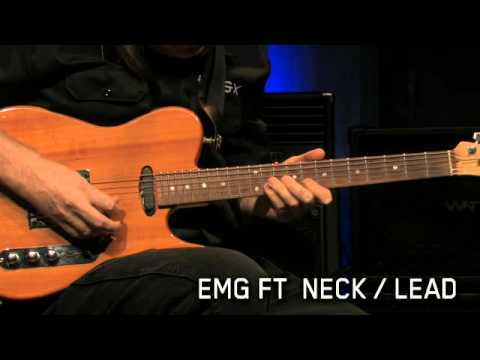 The EMG FT is a new take on the classic Telecasters™ pickup. Don't let the looks fool you, the FT gives you all the twang and punch you'd expect with incredible clarity and definition with no hum. This bridge pickup gives players that classic chime without the 'ice pick' and a rich low end. When overdriven, this pickup screams with incredible sustain and edge. The FT uses Alnico magnets with a custom engineered coil and winding to give your sound fullness and a broader bandwidth, well beyond your typical Tele pickup. This is the best pickup on the planet, period. 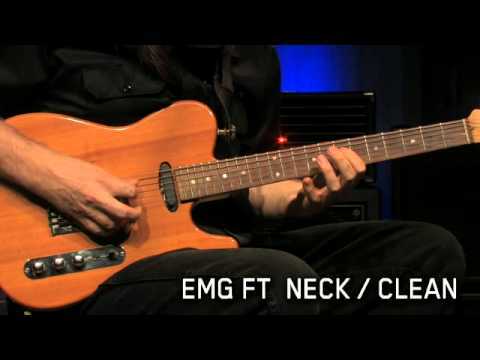 My first encounter with the EMG-T was in a Telecaster that I had to set up for complete dead silence, due to TV monitors on the stage. That Tele sounded great, but the T-neck pickup was phenomenal.... so much so that I put one in the neck spot on my Strat. 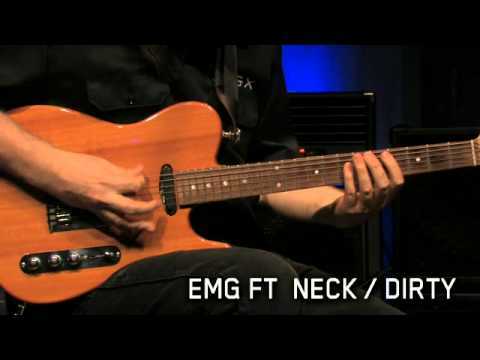 I loved that so much that I loaded a Strat with the EMG-T neck pickup... in all locations. It is the best pickup that I've ever used - very articulate with beautiful, musical harmonic overtones. It doesn't impart it's own sound to the guitar, it properly enhances what you already like about the instrument. I think the best way to describe it is "artfully honest".